Some insurers are receiving a massive payday from a government reinsurance program meant to help stabilize premiums and protect insurers from losses under the health care law. The government will pay out $7.8 billion in reimbursements to 497 health insurers under the transitional reinsurance program, according to data released Thursday by the Centers for Medicare & Medicaid Services. That's a little more than half of what health insurers requested — $14.3 billion — for the 2015 year, the second year of the three-year transitional reinsurance program. Last year, CMS paid out 100% of insurer's 2014 claims. This year, claims will be paid at a 55.1% coinsurance rate, CMS said. The temporary program is designed to encourage health insurers to participate in the individual insurance market by reducing uncertainty about the health status of enrollees. It is meant to transfer funds to health insurers saddled with high-cost members. Some insurers, particularly Blue Cross and Blue Shield Association insurers, received gigantic payouts. Richardson, Texas-based Blue Cross and Blue Shield of Texas will receive the largest payout of $636.7 million, followed by Thousand Oaks, California-based Blue Cross of California at $325.0 million, and Chicago-based Blue Cross and Blue Shield of Illinois at $283.5 million. 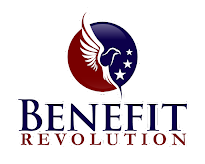 The reinsurance program is funded by a $44 per-participant fee paid by health insurers and self-insured employers. That fee will decrease to $27 per participant for 2016. CMS said it collected $5.5 billion in reinsurance contributions for 2015, with about $1 billion more scheduled to be collected on or before Nov. 15. In addition, $1.7 billion in excess reinsurance contributions from 2014 were set aside to be used for 2015 payments. CMS also released data for its permanent risk adjustment program, another program established by the Affordable Care Act that transfers payments to health insurers that attract high-risk patients from those with low-risk enrollees.